A South Korean court on Wednesday rejected an injunction against a shareholders' meeting of GM Korea Co. set for later this week, a move that could allow the local unit of General Motors Co. to establish a separate R&D entity. GM Korea is set to hold the shareholders' meeting on Friday and is expected to endorse a controversial plan to set up the new business entity responsible for design and development work for GM's best-selling compact sport utility vehicles. South Korea's state-run Korea Development Bank, the second-biggest shareholder in GM Korea, had filed the injunction against the shareholders' meeting with the Incheon District Court. The court however turned down the request, saying there is no reason the KDB will suffer serious damage if the shareholders' meeting is allowed to take place. KDB Chairman Lee Dong-gull has warned the state lender will exercise its veto if GM Korea moves to create the R&D company at the shareholders' meeting. GM Korea's board is composed of seven GM Korea executives and three officials from the KDB. General Motors holds a 77 percent stake in GM Korea, with the KDB and SAIC Motor Corp. controlling 17 and 6 percent, respectively. Last week, GM Korea's board of directors approved the plan, in which a design center, a research center and a powertrain division in Bupyeong, just west of Seoul, are integrated into a separate business entity as part of restructuring efforts. 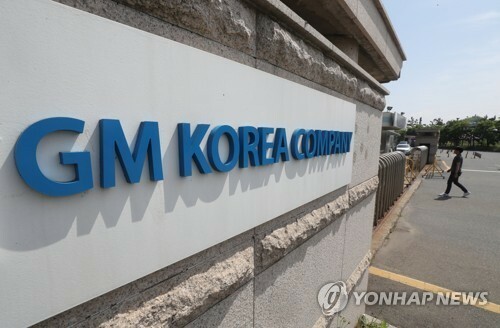 GM Korea's union suspects the move is an initial step to maintain the new corporation as one of GM's R&D bases, while selling or shutting down its production facilities in South Korea in the long term. In May, General Motors Co. and the KDB signed an agreement to permit a combined 7.7-trillion-won (US$6.7 billion) lifeline -- 6.9 trillion won from GM and 810 billion won from the KDB -- to keep the loss-making Korean unit afloat. In the same month, the Detroit carmaker shut down one of its four car assembly plants in South Korea due to a low utilization rate of 20 percent. On Tuesday, unionized workers at GM Korea voted to go on strike to protest the carmaker's plan to establish the R&D corporation. Any strikes at GM's plants in Korea could further weigh on the carmaker's earnings results this year. Its sales fell 15 percent to 341,349 vehicles in the January-September period from 401,980 a year earlier.